With the DS8108-HC Zebra offers you an extremely high performing 1D/2D area imager with an 800 MHz processor. The high resolution megapixel sensor (960 x 1,280 pixels) and the exclusive PRZM technology are a successful and unique combination – therefore, the DS8108-HC captures barcodes without a problem. The scanning diagnosis ensures that no errors occur during barcode capture, which could have fatal consequences in the healthcare sector. Particularly in the healthcare sector FIPS 140-2 certification is important. It ensures that the DS8108-HC very effectively protects patient data. 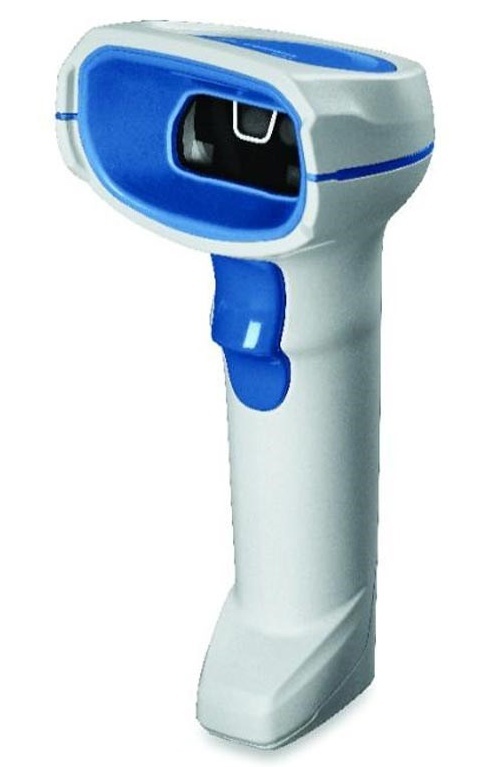 Additionally, the area imager has special housing designed to prevent the spread of bacteria. Special plastic parts allow for safe cleansing with the harsh disinfectants used in modern hospitals. Plus, covered screw holes and seams mean less areas where bacteria can hide. Caregivers were also given consideration: with the integrated light caretakers may individually light their workstation during night shifts. Plus, the vibration confirmation mode ensures for quiet in hospital rooms.